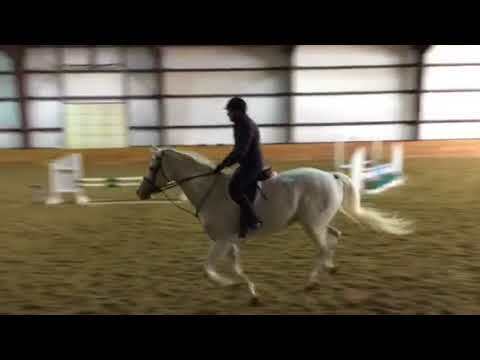 Flirt is a very sweet 11 year-old grey Holsteiner mare - with no spook! She has multiple years of experience with both young kids and adults and also has a very impressive resume being Champion for her overall year-end awards in the Beginner Junior Equitation and third in the Beginner Junior Hunters with CHJA in 2017! Due to financial and time constraints, her leasee only showed Flirt in one event in 2018, but walked away with Champion & Reserve Champion in Beginner Amateur Hunter and Equitation! 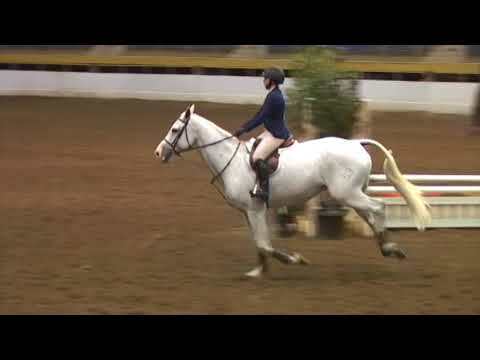 Flirt is proudly offered for sale only through Serenity Farm Show Stables in Elizabeth CO.